We have released a brand-new collection of design-led jigsaw puzzles especially for grown-ups that are available to order now. 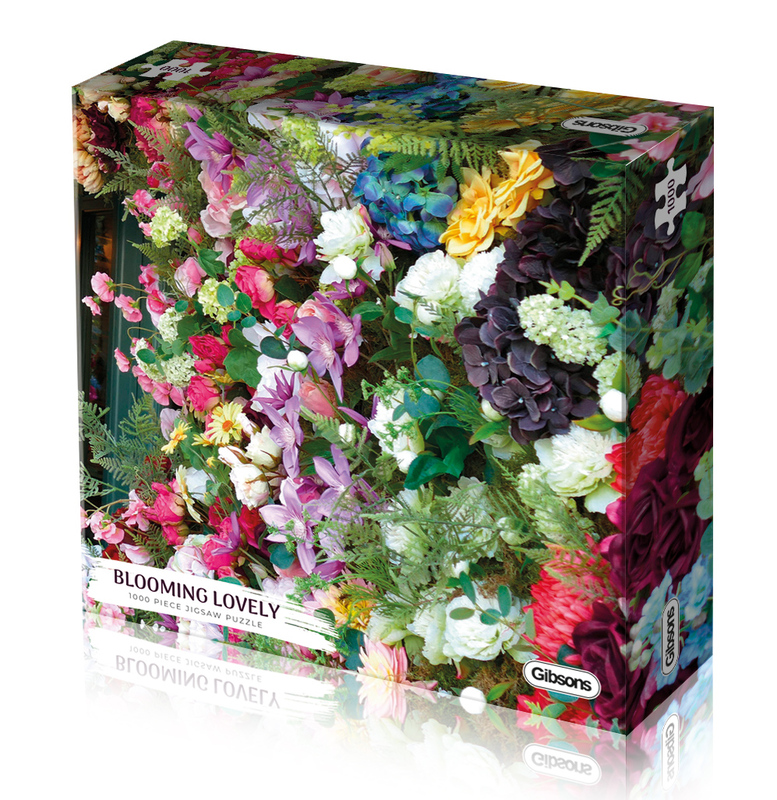 There are six 1000 piece jigsaw puzzles available in the White Logo range, all of which have been specifically selected for their striking designs and unconventional scenes. Following the trend of mindfulness and the nation’s desire to spend less time looking at a screen, our White Logo jigsaws are perfect for the new wave of puzzlers who are looking for more innovative and contemporary designs rather than typical, traditional puzzle scenes. To select the imagery, we interviewed prospective puzzlers who voted for their favourite designs* that didn’t conform to the conventional jigsaw illustrations. 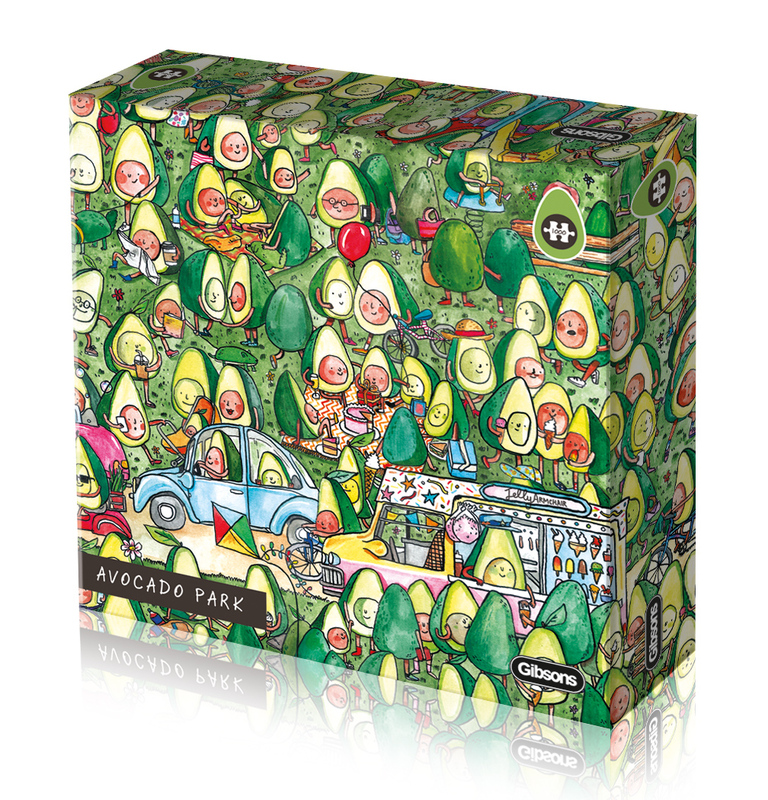 Avocado Park is one of the new puzzles and is filled to the brim with everyone’s favourite little fruit! 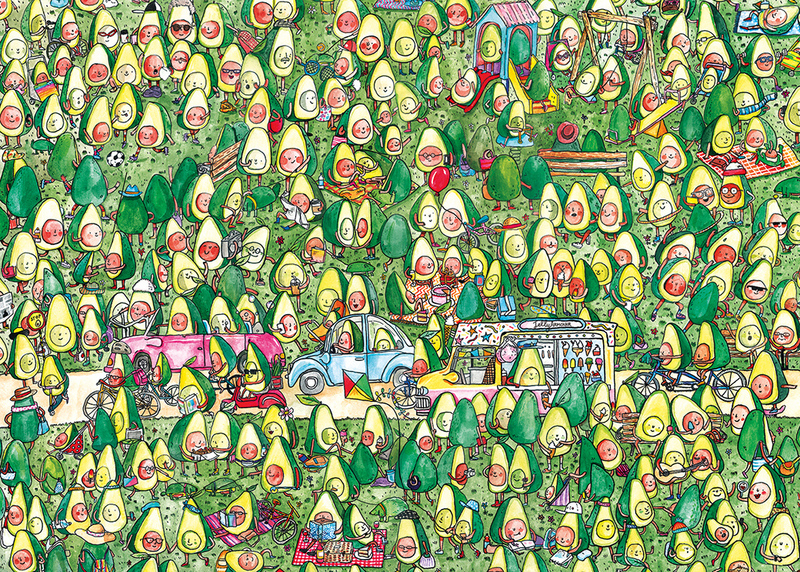 The puzzle depicts hundreds of avo-people doing avo-cardio or chilling with their avo-dogs in the park. It’s the pear-fect puzzle for any avocado enthusiast. 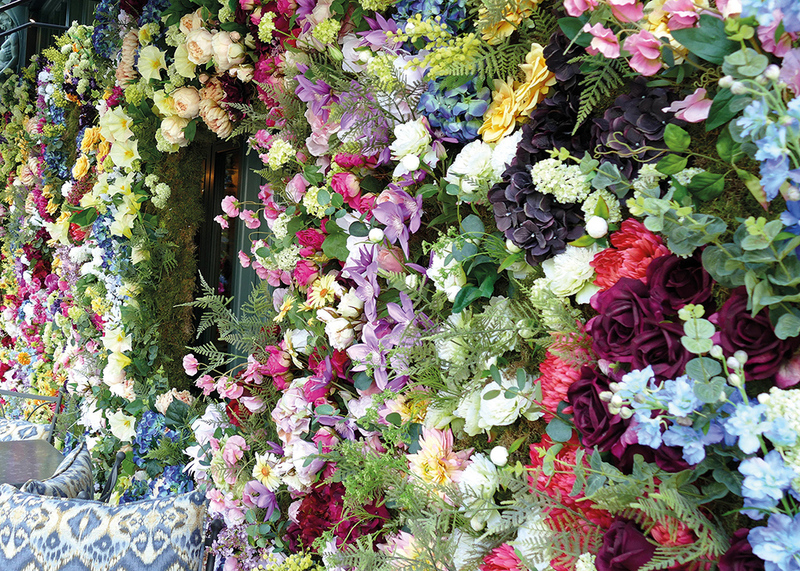 Another puzzle in the range is Blooming Lovely, the challenging jigsaw that shows a tranquil London bar that is covered by gorgeous floral canopy. 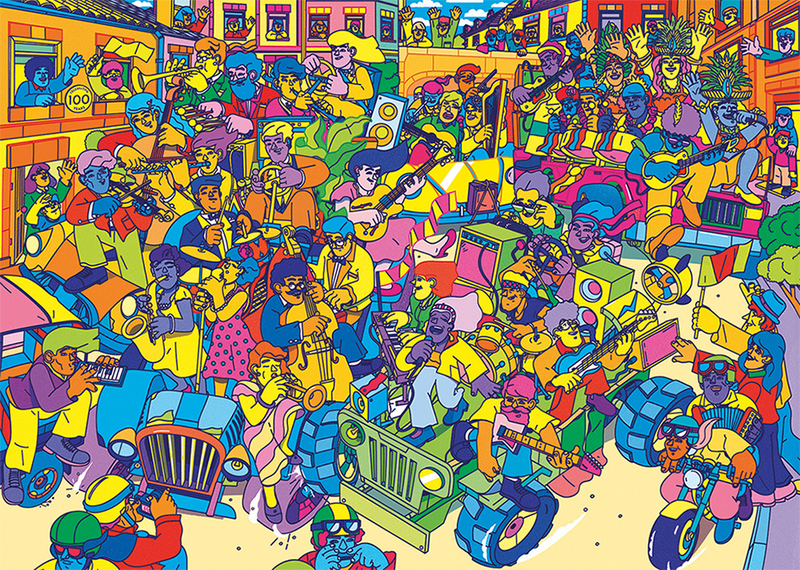 Or, if less mainstream scene is preferred, Carnival was created by Hackney-based artist Rob Pybus, and has been specially commissioned to celebrate Gibsons’ 100th anniversary. The strikingly busy puzzle crammed full of celebratory vibes and is the ultimate way to reward your mind with a digital detox. Designed and manufactured in the UK from the thickest board available on the jigsaw puzzle market, the White Logo puzzles are made from 100% recycled board and are presented in compact boxes to reduce unnecessary cardboard waste. Additionally, the puzzles are secured with paper tabs instead of shrink wrap to avoid excess plastic waste, adhering to Gibsons’ goal to reduce their carbon footprint. *In a poll of 139 prospective puzzlers, the respondents voted for their favourite designs which were then selected for this range. *Based on rate of sale/value velocity, source: The NPD Group, Retail Tracking Data, UK, YTD November 2018. The White Logo range is available to order now. For retailers, contact your local agent or email sales@gibsonsgames.co.uk to place your order. For puzzlers, Gibsons jigsaws can be purchased in store from garden centres, toy shops, department stores and gift shops.